Cam Edwards is originally from Oklahoma City, Oklahoma, where he worked in morning drive-time radio. He grew up in a gun-free household (Edward’s mother was a Kennedy Democrat). Becoming a husband and a father in his mid-20s persuaded him to buy his first firearm for protection. 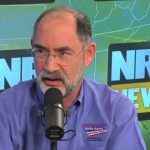 When asked how many guns he owns, Edwards has joked, “Less than 42.” He is currently the host of the “Cam & Company” radio show at NRA News. He lives on a 40-acre farm with his family in Farmville, Virginia. 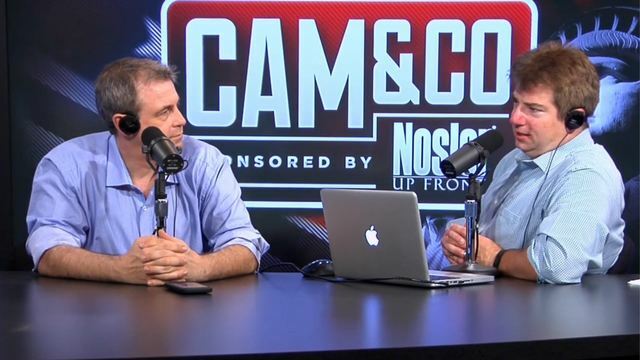 Hosted by Cam Edwards, Cam & Co is a three-hour show featuring news and views of the Second Amendment and other freedom-related issues. Tune in for interviews with NRA leaders, newsmakers, politicos, journalists and congressional leaders. It’s in-depth commentary and analysis you won’t find anywhere else. 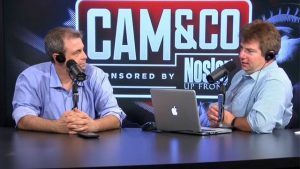 Cam & Co airs from 2 to 5 p.m. ET on NRANews.com. The show is also simulcast on SiriusXM—tune in from 9 p.m. to midnight on Patriot Plus, or midnight to 3 a.m. on the Patriot channel—and is available on demand on iHeartRadio and iTunes. Cam is also the Co-Author of Heavy Lifting: Grow Up, Get a Job, Raise a Family, and Other Manly Advice. 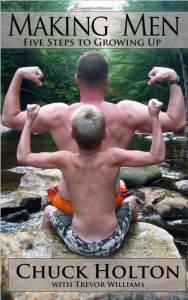 What has happened to men in America? 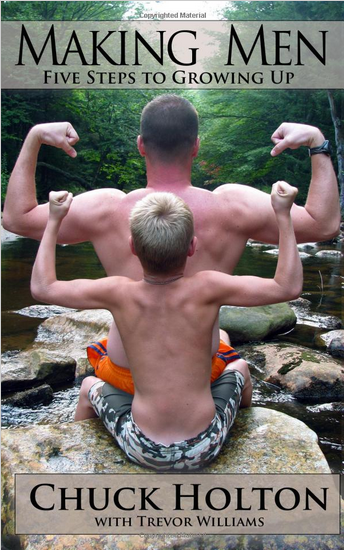 Once upon a time, men in their twenties looked forward to settling down and having children. Today, most young men seem infected by a widespread Peter Pan syndrome. 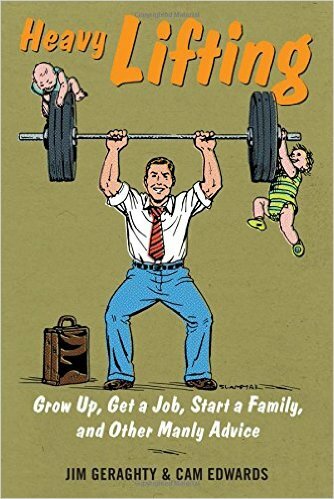 Unwilling to give up the freedom to sleep late, play video games, dress like a slob, and play the field, today’s men wallow in an extended adolescence, ostensibly unaware that they’re setting themselves up for a depressing, lonely existence. 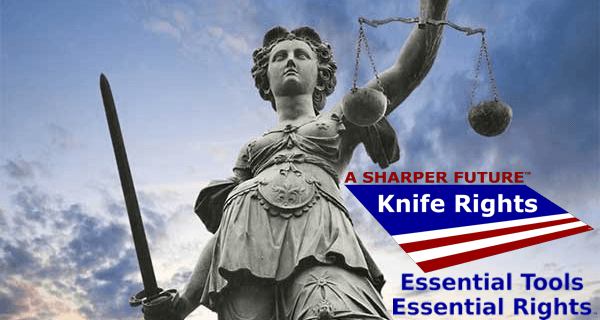 As of June 2016, Knife Rights has proven beyond a shadow of a doubt that we are building that Sharper Future™ as we Rewrite Knife Law in America™. We can count 29 legislative victories in 16 states, plus Congress. We are standing up to the largest city in America in our Federal Civil Rights lawsuit against New York City. Our Knife Owners’ Protection Act has been introduced in both houses of Congress. 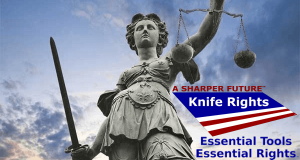 Knife Rights can only succeed as a grassroots organization if we build our membership, because it is the votes those members represent that politicians listen to. Christian Tisch (Chris) is the co-host of Proclaiming Liberty radio show on KKNT 960 The Patriot on the AM dial in Phoenix, AZ. Native of N.J., Chris Graduated 1965 Toms River High School. Attended Ocean County College, Monmouth University. Chris became Real Estate Broker in Virginia Beach Va. He also spent fourteen Years with National Federation Of Independent Businesses (NFIB) fighting for small business. 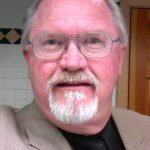 Chris brings this kind of background, knowledge, and passion to the airwaves every Saturday night at 8:pm (AZ Time) on his radio show “Proclaiming Liberty” on KKNT 960 The Patriot Radio. 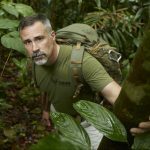 Chuck Holton is the host of “Frontlines” an NRA TV Series, is American war correspondent for the Christian Broadcasting Network, and a published author, and motivational speaker. Chuck is also the host of The Hot Zone Podcast. Holton has been a freelance cameraman for Fox news, following Ret. Lt. Col. Oliver North on his travels as host of War Stories with Oliver North on the Fox News Channel. Holton was born in 1969 in Carson City, Nevada. At age 17 Holton joined the United States Army, shipping off to basic training at Fort Benning, Georgia. Holton is a graduate of both Airborne School and Ranger School, graduating Ranger class 3-89. Holton went on to attend Jumpmaster School, Nuclear, Biological and Chemical Warfare School and Assault Climber school, and was later an instructor at the United States Military Academy at Camp Buckner. Holton was deployed to Panama for Operation Just Cause, where he served as a team leader. He served four years with the 75th Ranger Regiment. After four years of active duty, Holton joined the Wisconsin Army National guard, where he received training as a helicopter mechanic and eventually became trained as an Aeroscout Observer, flying the Bell OH-58 Kiowa Helicopter. His awards and decorations include the Army Service Ribbon, Good Conduct Medal, National Defense Service Medal, Army Commendation Medal, Senior Parachutist Badge, Ranger tab, Expert Infantryman Badge, and Combat Infantryman Badge. 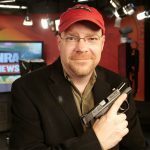 Share the post "GunFreedomRadio EP41 Frontlines"